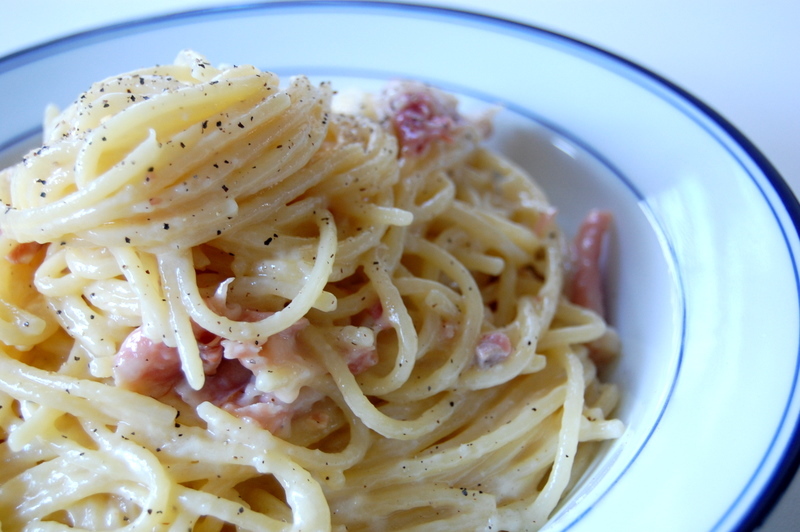 Recently, I found myself craving carbonara. Not the peas, bacon, and cream-kind, the legit egg-yolk infused Parmesan-deliciousness. At first, I wanted to try two different recipes and see which one I liked better. But after making the first one, there was no need to try another recipe because it was so fantastic. 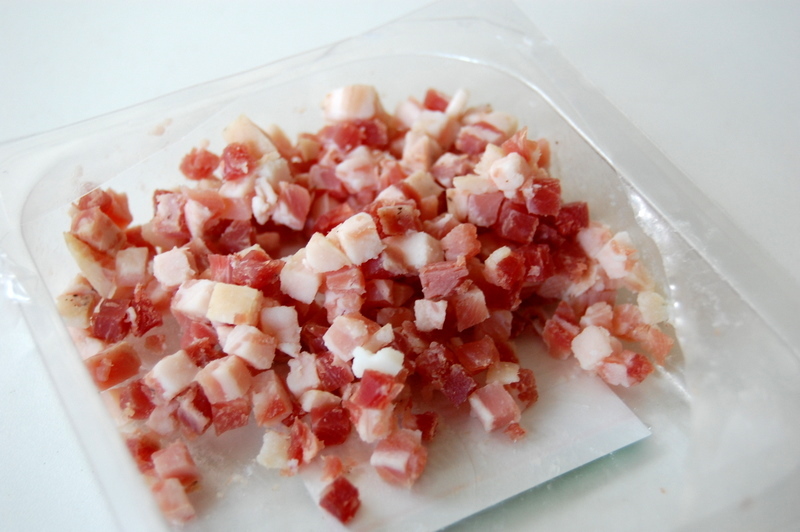 I made some variations on Tyler Florence’s original recipe below. 1. 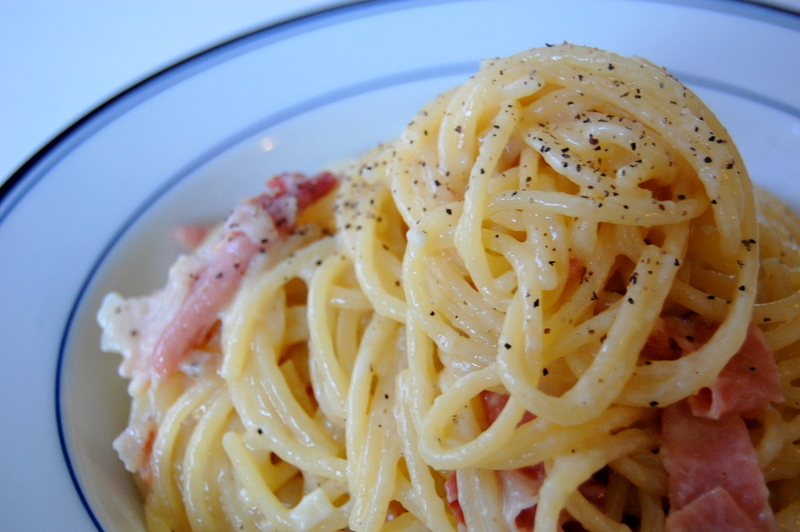 Use pasta water to thin out the sauce a little bit. I used about 1/2 cup. 2. 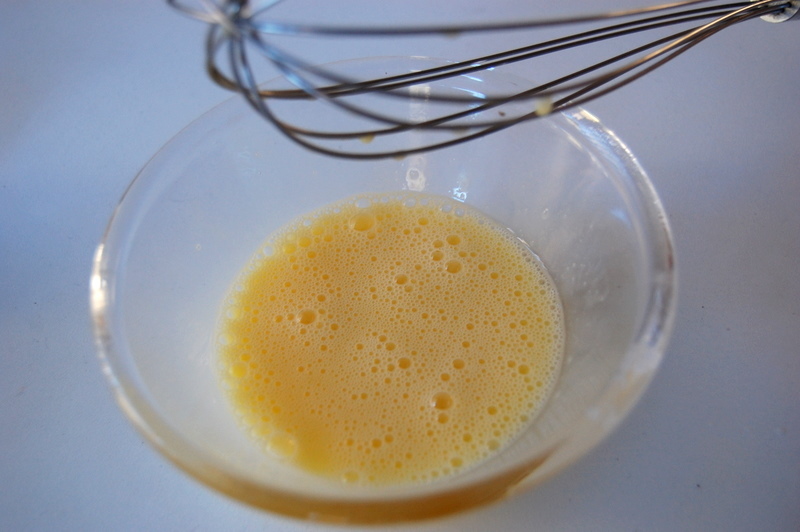 Make sure you take the pan off the flame when adding the egg/cheese mixture so the eggs don’t get scrambled. 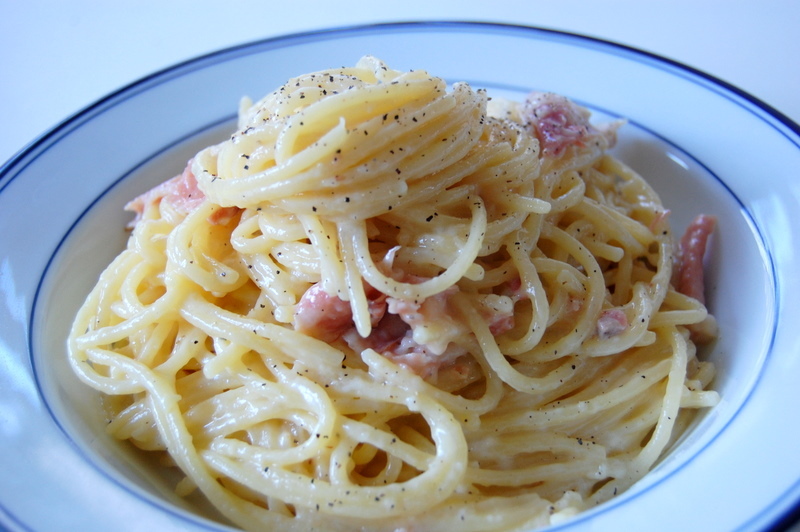 Bring a large pot of salted water to a boil, add the pasta and cook for 8 to 10 minutes or until tender yet firm (as they say in Italian “al dente.”) Drain the pasta well, reserving 1/2 cup of the starchy cooking water to use in the sauce if you wish. Meanwhile, heat the olive oil in a deep skillet over medium flame. 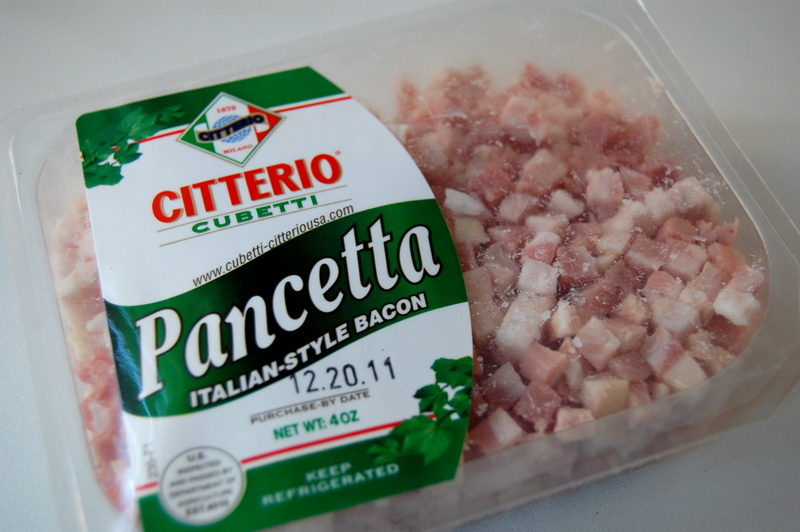 Add the pancetta and saute for about 3 minutes, until the bacon is crisp and the fat is rendered. 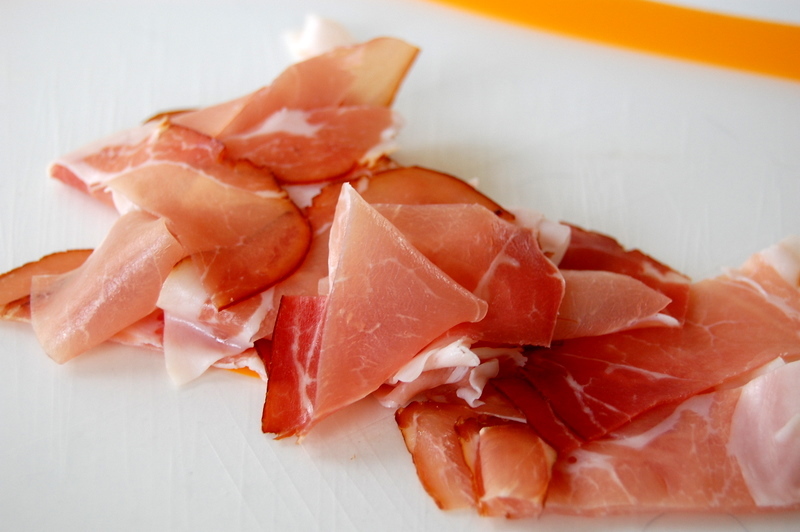 Add the ribbons of prosciutto and saute for 1 minutes. 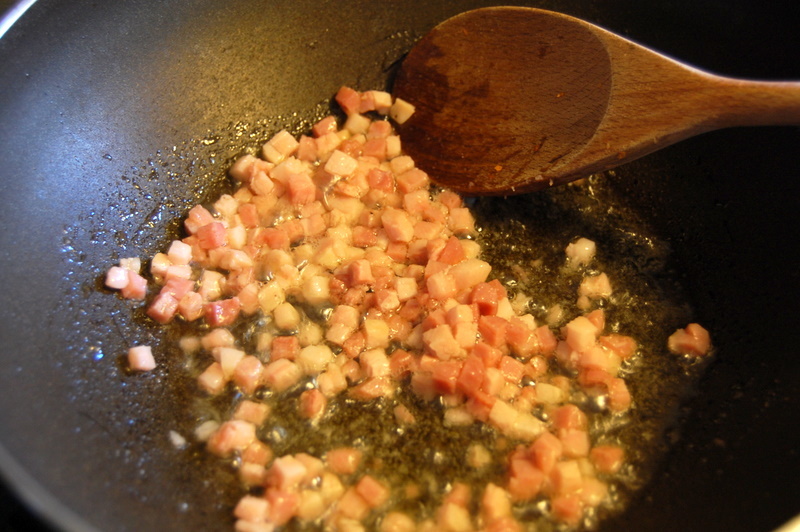 Toss the garlic into the fat and saute for less than 1 minute to soften. 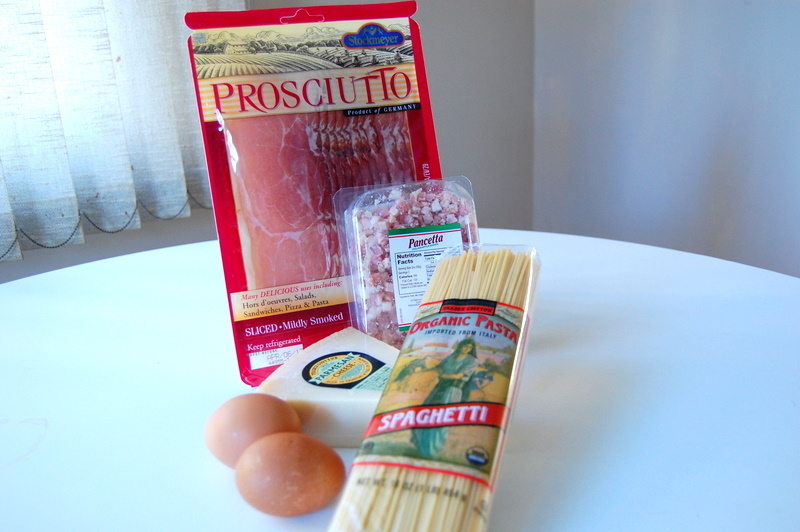 Today, I’m taking a little detour from my usual fare and presenting my journey into the world of Italia! 1. Seasoning every layer is crucial, in any type of cooking. 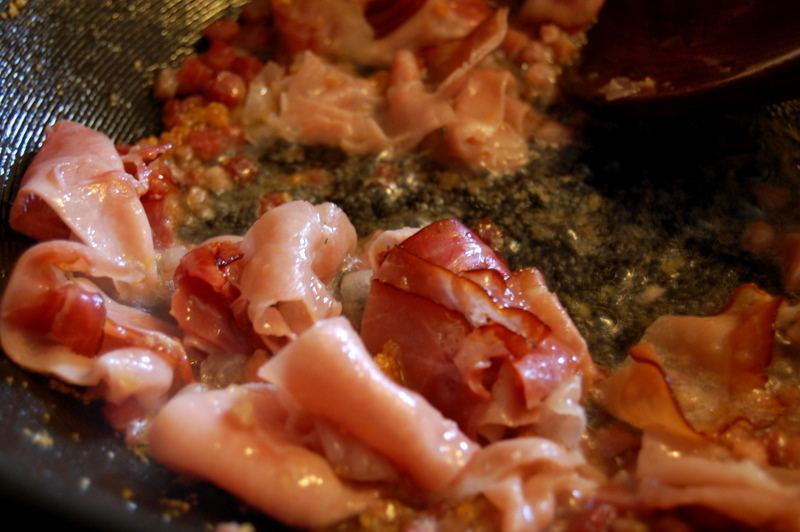 Make sure to season every step moderately, and then at the end the seasoning should be almost just-right. 2. Use GOOD Parmesan! None of that Kraft-pre-grated stuff. Spend the money on the good stuff. 3. You can use any type of pasta, I just like rigatoni with meat sauce because the sauce gets into the little ridges and it’s so delicious! 5. Sauce will taste better the next day. Always. In a large Dutch-oven (or any type of heavy-pot), heat olive oil on medium-high heat and toast garlic until lightly browned and fragrant. 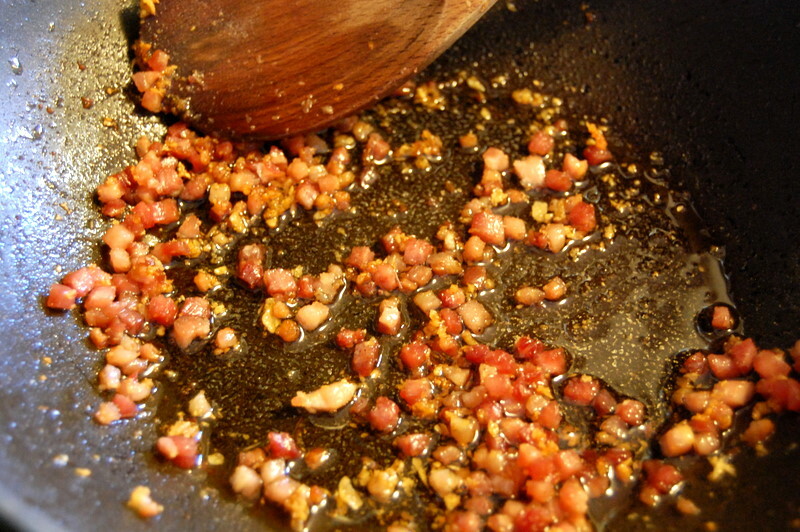 Add minced onions and cook until onions are translucent, around 5-6 minutes. After the onions are translucent and soft, add your ground beef and cook until browned, then season with salt and pepper. In a large bowl, pour contents of your tomato cans and using your hands, break up the whole tomatoes into rough pieces. Add the tomatoes to the beef and onion mixture. Add the tomato paste and red pepper flakes. Simmer on medium low heat for 45 minutes to an hour with the lid half-on, stirring occasionally. 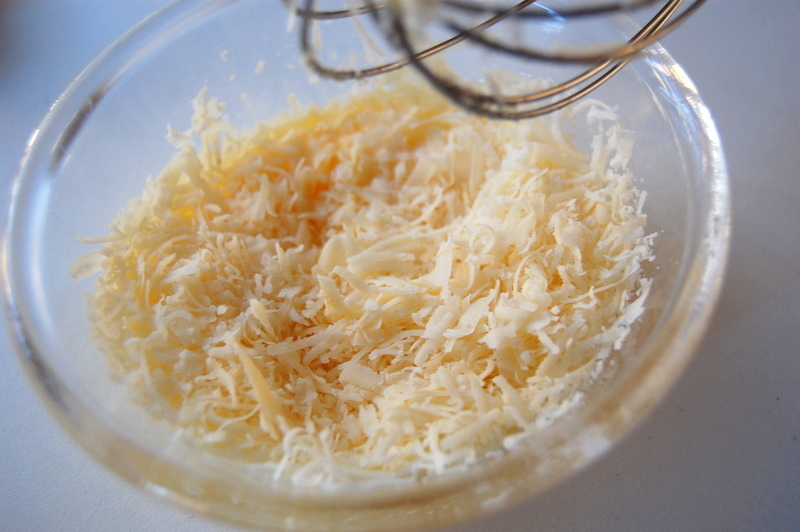 After the sauce has thickened to your desired consistency, add grated Parmesan cheese and stir well into the sauce. Add the thinly sliced basil, and then turn off the heat. Taste, and add more salt and pepper if necessary. 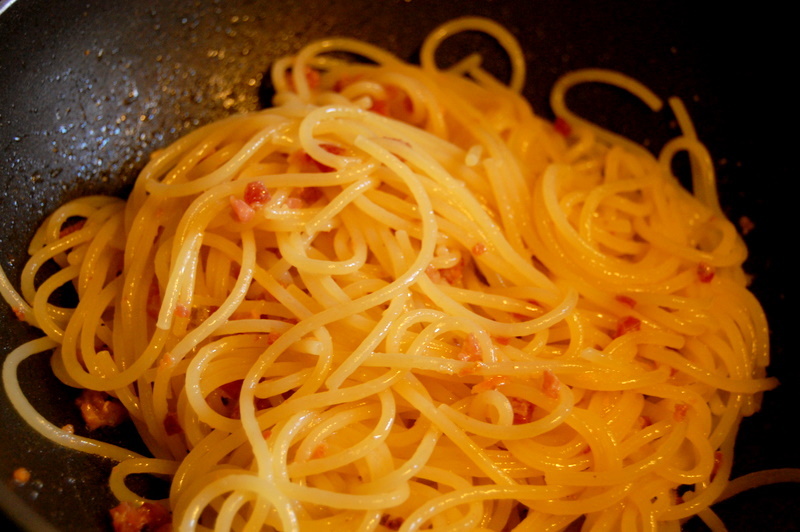 Boil salted water for pasta, and cook according to package directions for al dente. 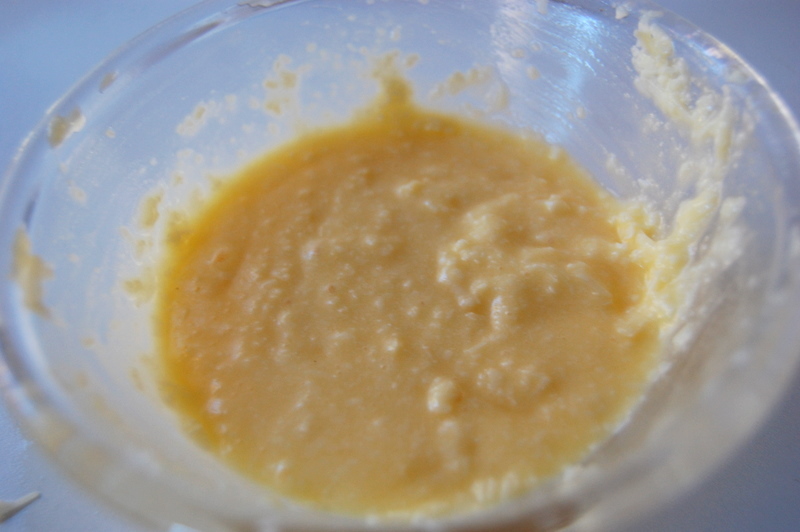 Add a few ladles of sauce into the drained pasta, and then serve into bowls. 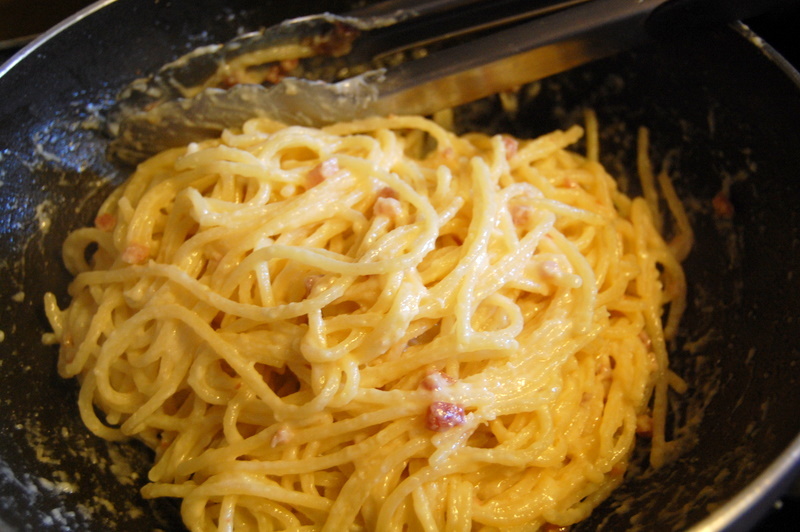 Add a small ladle of sauce additionally on top of each serving, and top with a little extra grated cheese if necessary. You are currently browsing entries tagged with italian at Career: Housewife.